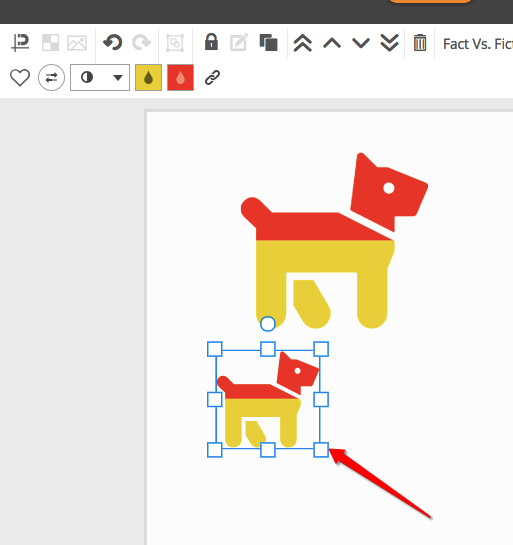 To edit icons, click on the icon, and select the different options such as mirroring an icon. 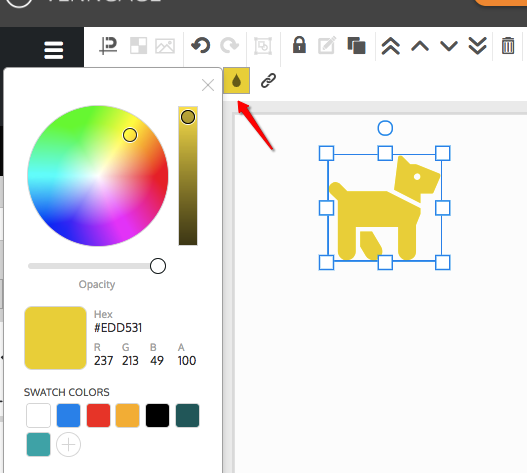 You can change the color of an icon by selecting the colour box on the top toolbar. 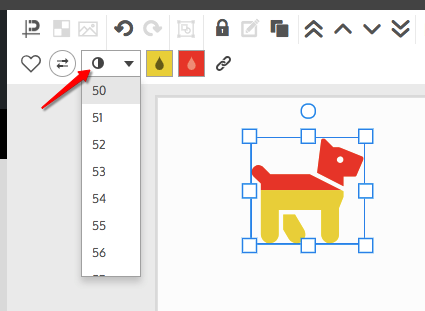 You can also change the fill percentage to display data or ratios on the icons. When you select the fill percentage icon, a second colour option will appear. 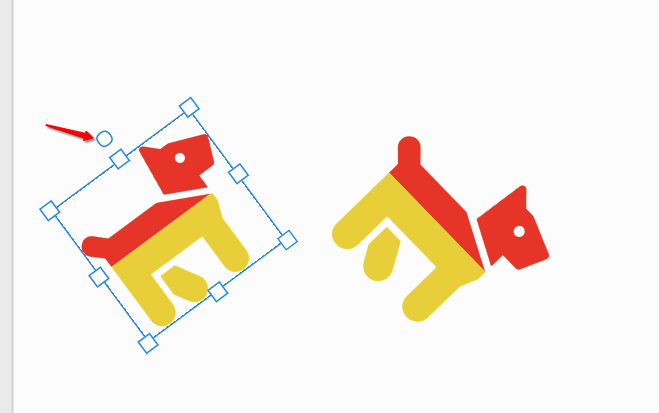 Icons can also be resized by dragging the corner of the bounding box.